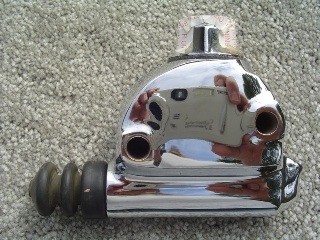 Wagner-Lockheed Style Rear Master Cylinder. Chrome finish drum or disc brake application. Drum brake residual valve must be removed for disc brake use. Replaces OEM 41761-58 and 41761-73.